BBC Home Entertainment has released Matt Smith's final appearance in Doctor Who: The Time of the Doctor, on Blu-ray and DVD. 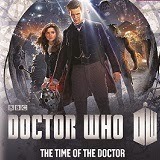 With over 60 minutes of sensational bonus features including an hour long special celebrating Matt Smith's tenure as the Eleventh Doctor, this is a must-have for any Doctor Who fan's collection. Orbiting a quiet backwater planet, the massed forces of the universe’s deadliest species gather, drawn to a mysterious message that echoes out to the stars. And amongst them – the Doctor. Rescuing Clara from a family Christmas dinner, the Time Lord and his best friend must learn what this enigmatic signal means for his own fate and that of the universe. A mysterious message is making its way through all of time and space. Ships from all planets are gathering at the closest point to the message… above the planet. The Doctor, with his sidekick “Handles,” the working head of a Cyberman, is trying to figure out who is hovering over the planet. As the Doctor attempts to find the truth, he receives a phone call from Clara asking him to meet her family and join them for Christmas dinner. As Clara finishes cooking dinner, she realizes the turkey will not be ready in time and she and the Doctor put it in the TARDIS so it will cook faster. Clara and the Doctor decide to take a quick trip and find out more information about the message. Arriving in the TARDIS at the first ship to find the planet, the Doctor meets with Tasha, the high priestess of the ship, who tells him she can get him onto the planet. 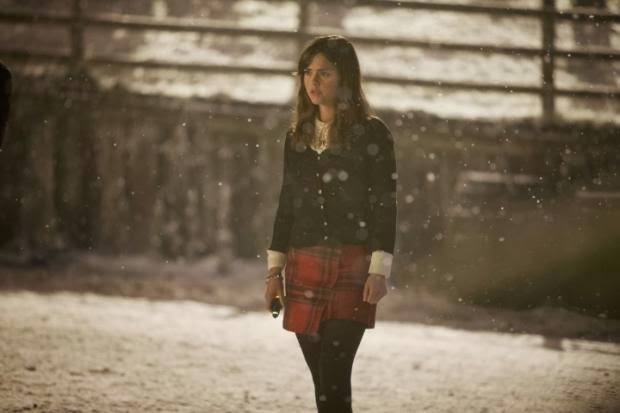 Tasha sends the Doctor and Clara to the planet, where they enter a town called Christmas. In this town, it is always Christmas and no one can lie while within its borders. 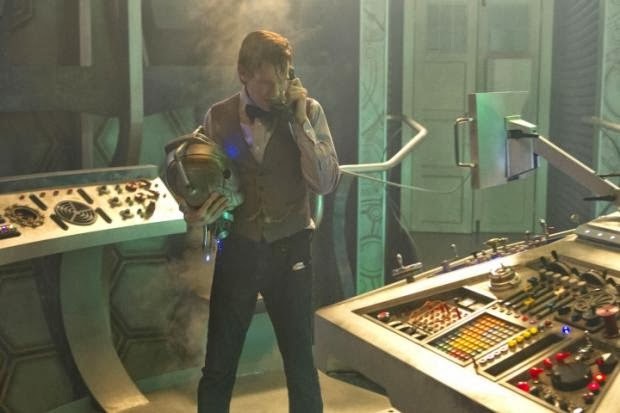 After finding the source of the message and translating it, the Doctor asks Clara to return to the TARDIS to plug something in. Once Clara enters the TARDIS, it returns her to Earth and leaves the Doctor behind. After hearing the name of the planet, the Doctor realizes he needs to make the town called Christmas his new home and vows to protect it from every ship and enemy above. 300 years go by and the Doctor begins to forget he ever did anything else. When all of a sudden, he hears the TARDIS and sees Clara hanging on for dear life. After their reunion, they leave the planet to meet with Tasha only to find that the Daleks have taken over. Sending Clara back home again, the Doctor returns to the planet and continues to protect it, only now, the protective shields are down and all the Doctor’s enemies land and begin fighting. Meanwhile, Clara is miserable on Earth and hears the TARDIS arrive. Thinking it’s the Doctor, she runs out to meet him, only to find Tasha flying the TARDIS. Tasha returns Clara to Christmas and the Doctor, telling her he should not die alone. Clara arrives to find a very elderly Doctor sitting alone in the clock tower and goes to him. As they have their second reunion, the Doctor is called out by the Daleks. He urges Clara to stay hidden and leaves to fight the Daleks. 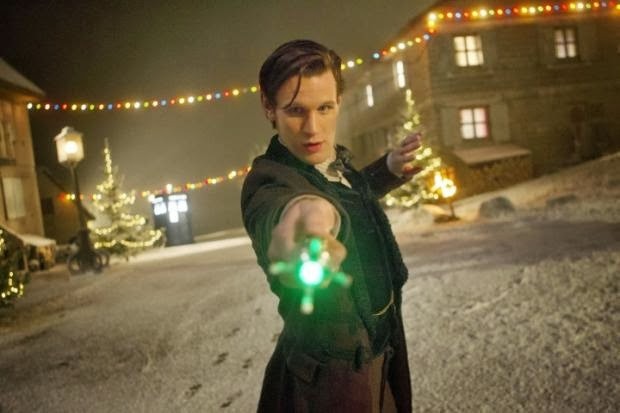 During the fight, the Doctor begins his regeneration, defeats his enemies, saves Christmas and returns to the TARDIS to complete his regeneration. And thus ends the reign of Matt Smith as the Doctor. I have not been a fan of Doctor Who for very long. I admit, it’s been probably six months. Though, in the past six months, I have been through the reboot seasons at least three times. The first time through, I watched them all in time for the 50th anniversary special. It took me about three weeks of constant watching. I will also admit that Matt Smith is not my favorite Doctor. But, how can you not love him? He is a great Doctor and this being his last episode, he really brought it home. His speech before his final regeneration brings me to tears every time I watch it. I just can’t express how much I love this show. 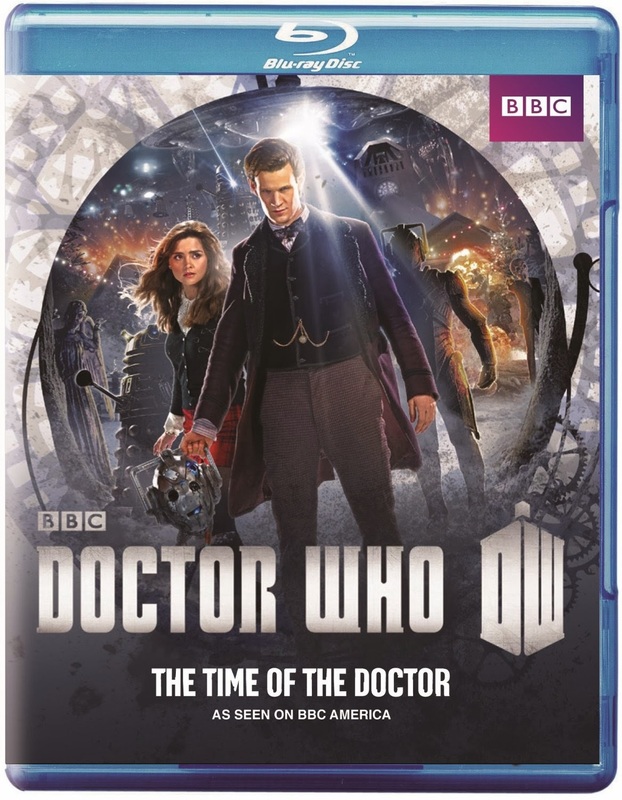 Doctor Who: The Time of the Doctor is presented in 1080p high definition. The picture is clear and sharp. The colors in the town are bright and cheery, just like Christmas should be. Skin tons are natural and all the colors blended well. The dark colors did not overtake the rest of the picture and you could see shadows clearly. The DTS-HD 5.1 audio was clear and no volume adjustment was needed. This is a show I watch at a higher volume than normal because I like hearing all the background noises and even with the explosions, it never got too loud for me. For those who need them, subtitles are also available. Behind The Scenes – A 12 minute look at the filming of Matt Smith’s last episode. It includes interviews with cast and crew members all discussing how much he will be missed. 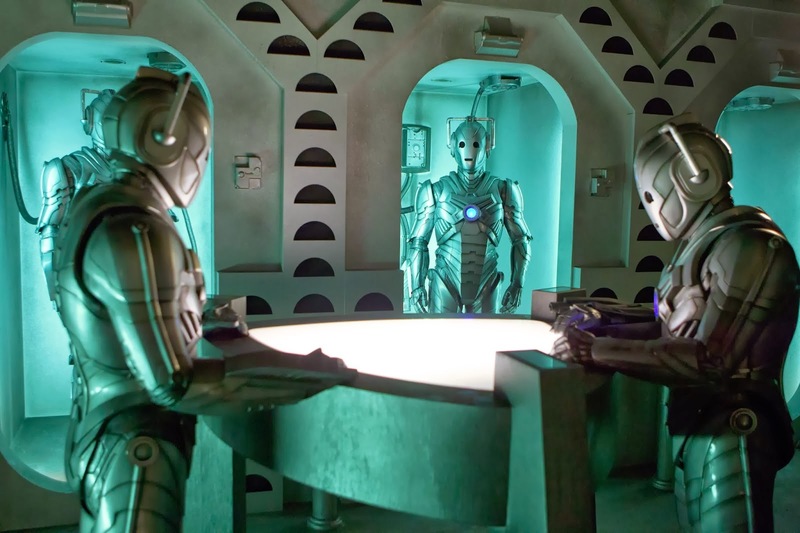 Tales from the TARDIS – A 45 minute special shown on BBC America, during the week prior to the 50th anniversary special. 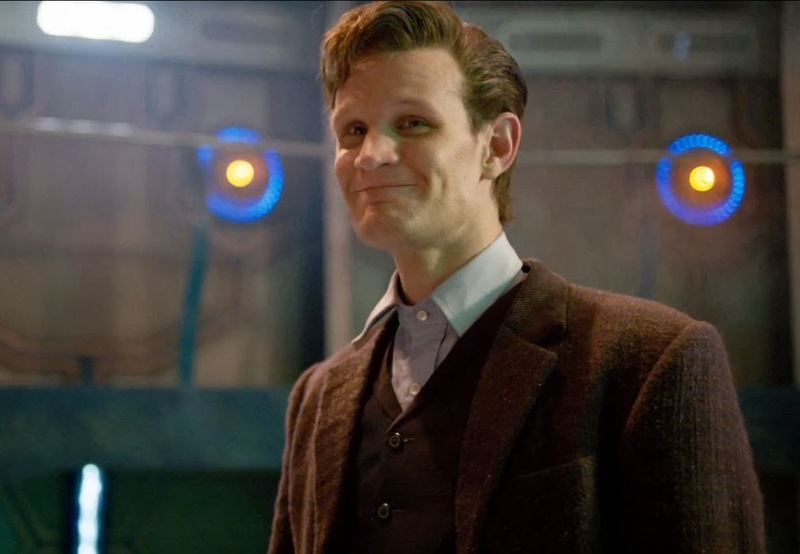 Farewell to Matt Smith – A look at Matt Smith as the Doctor. More cast and crew interviews about Matt Smith and his time as the Doctor. This was also a special shown on BBC America prior to Matt Smith’s last episode. I love this show. I resisted for quite a while and the first time I watched it, I thought to myself “this is the stupidest show ever…” and then I watched another episode, and another and another. I was hooked and now, it’s one of my most favorite shows. I cannot wait until BBC America starts showing the new season with Peter Capaldi taking over. It’s so hard to choose a second favorite Doctor, but Matt Smith is definitely up there. I could gush for page and pages about this show and about how much I love it. 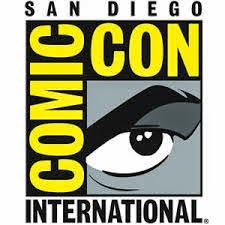 In my opinion, this is one of the greatest .shows on television and I can see why it’s been on the air for 50 years. Just watch it. You won’t be sorry.